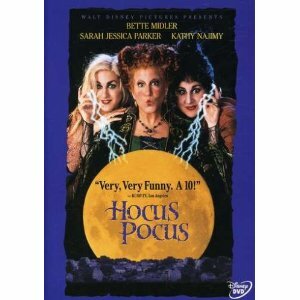 "This is all just a bunch of Hocus Pocus!" Max doesn't believe in Halloween and the local legend of the Sanderson Sisters. He's quickly changed into a believer when he accidentally brings the sinister sisters back from the dead. 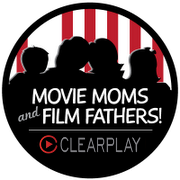 While they try to save Salem's children, you and your family can have lots of fun with these Family Movie Night Activities. * Every good witch has a cauldron bubbling with brew. Make soup, stew or a bubbly soda drink with dry ice and serve it out of a black cauldron. Anything is more spooky when you serve it out of a scary black pot! * At Allison's house, Max and Dani enjoy cider, Halloween cookies and chocolate Suckers. 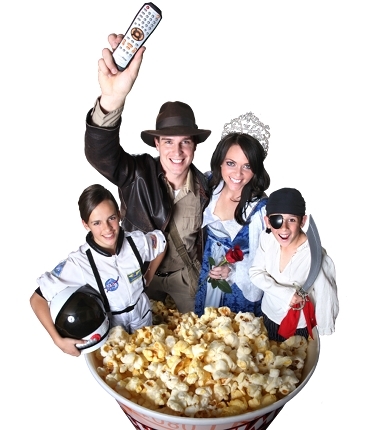 While watching this movie, be sure to enjoy plenty of Halloween treats and cider. * When the Sanderson sisters visit 'Satan' they munch on Cheetos and Clark bars. Serve some up to your movie fans as well. * This movie is all about witches so nibble on cookies with candy kisses on top or bowls of green ice cream with cones on top like witch hats. * Max and Dani run into some bullies from school making people pay a candy toll. Switch from dinner to dessert or break out the candy bars and treats by announcing "Time to pay the Candy Troll!" * When Max lights the black flame candle, stop the movie, turn off the lights and light a few candles of your own. * Thackery is turned into a cat. Wear your best cat accessories in honor of the brave brother. Think cat ears, make-up and whiskers or even cat-eye sunglasses. * Dress like a witch with crazy socks, long nails, rings and especially a hat. * Make a Family Witch Spell Recipe Book. Be sure to let your kids come up with their own made up magic recipes. Remember to use 'Dead Man's Toe' and a 'Bit of Thine Own Tongue' as ingredients. * Recreate the Sanderson Sisters home by using lots and lots of fake spider webs to decorate. * Keep your family safe by creating a HUGE salt circle to sit in while you enjoy the show. Real salt thrown out hastily is perfect, but if you want a cleaner way to protect your family consider gluing salt (or glitter) to paper then cutting it out to make an area large enough to sit in. You could make small 'salt' circles for each individual as well. 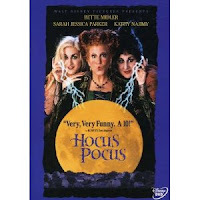 Read the review of Hocus Pocus to see if this one is up to your families' film standards.